We are pleased to announce OBD Now our new app for Android phones and tablets, is now available on Google play. OBD Now, in conjunction with an ELM327 chipped scan tool (Bluetooth or Wi-Fi), transforms your Android phone or tablet into a complete OBDII diagnostic tool. OBD Now’s simple menu driven structure guides the user through all the OBDII services. Within a minute or two of connecting with OBD Now, an experienced user can quickly determine if a vehicle is running normally or has faults and requires further investigation. OBD Now supports all OBDII services $01 through $0A as specified by SAE J1979 and ISO 15031-5. OBD Now contains a comprehensive 50+ page user guide. The guide can also be viewed here. A dedicate site for OBD Now will be available shorty. For more details be sure to click the READ MORE button on Google Play. OBD 2007 is a family of OBD II software applications from GLM Software designed to assist automotive professionals and enthusiasts alike in diagnosing and analysing problems with modern vehicle engines. 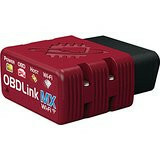 OBD 2007 for PC for Windows laptop computers. OBD 2007 Lite, a free download from GLM Software, is a limited edition version of our commercial product OBD 2007. One end of the scan tool connects to your vehicle’s 16 pin OBD connector plug via a special OBD cable while the other end connects to your computer’s serial port via a standard serial cable. All units are sold with the appropriate cabling. 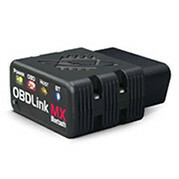 Some units such as the Bluetooth OBDKey, the Bluetooth OBDPro and all the OBD Link scan tools Bluetooth or Wi-Fi don’t require any cabling between the scan tool and the computer because they connect directly to the vehicle’s OBD plug and wirelessly to your computer via Bluetooth. Even the cabled units can be converted to connect wirelessly via Bluetooth with additional Serial BT adapters. Most new laptops no longer have a serial port, but they can be connected by a USB to RS232 converter cable to a USB port. OBD 2007 has been developed and tested with each of the following scan tools, but should also work with any scan tool based on the ELM 327 chip or any scan tool that emulates the Elm 327 chip. OBD 2007 has been designed to comply with the international standards ISO 15031-5 and SAE International J1979 “Communication between vehicle and external equipment for emission related diagnostics”. These standards are applied to every passenger and light truck vehicle manufactured since 1996 in the USA and 2001 in Europe and Japan. OBD 2007 complies with the above standards by supporting all services $01 through $0A of the standards. Please note that not all OBD II compliant vehicles support each service. OBD 2007 will report which services the vehicle doesn’t support. Based in Melbourne Australia, GLM Software has more than 20 years of application development and practical automotive experience and is a leading producer of vehicle diagnostics software. New build 1.0.14.21 for OBD 2007 for PC and build 1.0.1.21 for OBD 2007 Lite. New build 1.0.14.2 for OBD 2007 for PC. This build introduces a new option - Override OBDII services. New build 1.0.14.13 for OBD 2007 for PC. Suspension of support for OBDLink. New build 1.0.14.1 for OBD 2007 for PC. 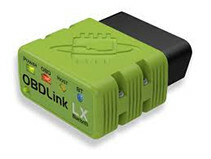 Support for OBDLink's new 2.0Mbps baud rate. New build 1.0.14.0 for OBD 2007 for PC. Support for OBDKey v1.3, OBDLink and ElmScan 5 Compact. Replacement build of build 1.0.13.991 for OBD 2007 for PC.